Diego Pereira converted his pole position into victory in AutoReject 2.0’s feature race at the Red Bull Ring, fighting hard in a thrilling three-way lead battle to secure the win. Pereira overcame the charging pair of Pierre St. Laurent and Vaclav Malsyz to emerge victorious in Austria, executing a perfectly-judged race to sweep past the pair in the latter stages. 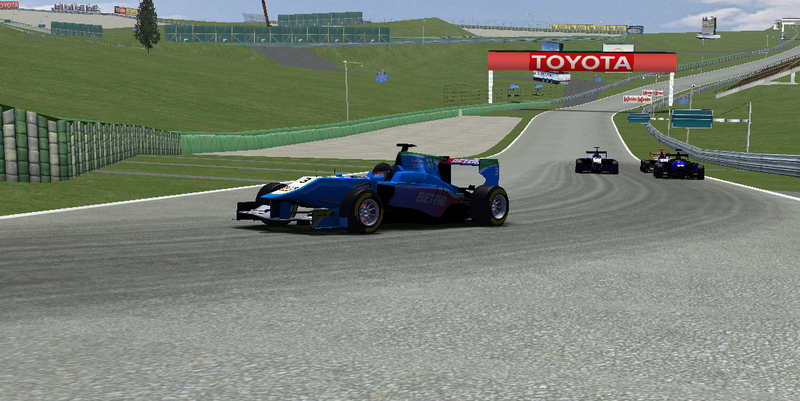 St. Laurent jumped Pereira on the opening lap, squeezing past the Portuguese driver at turn 2 to build a strong early lead. Extending his advantage to four seconds in the opening four laps, St. Laurent seemed to have broken away from the pack, but Pereira hit back to reduce the arrears to within a second at the midpoint of the race. As lapped traffic became a factor, Pereira used the Blokkmonsta of Isabel Martins to mask his play for the lead, blasting past St. Laurent to enact a thrilling two-way tussle for supremacy. Traffic continued to play a large part in the race, and allowed Malsyz to catch the duo – the Czech driver briefly led, but Pereira mounted his challenge for honours in the final two laps and controlled the latter stages to cross the line first. Malsyz held on for second, beating St. Laurent across the line, as Michela Martin kept her foot in the title battle with a solid fourth place finish. Ramon Lorenzo produced a well-managed race to pick his way through the field for fifth, beating Tobias Baumgartlinger by three seconds. Managing seventh for the second feature race in a row, Kenny Rosseels beat Jazmin Caldeiro, who had factored within the top three in the race’s early stages. Kevin van Kerckhoven will start on the front row for Sunday’s race having finished ninth, starting behind reverse-grid pole-winner Zenaide Voeckler.